If you’re into more active holidays while you travel, especially if you’re interested in trying out some of the excellent activities Croatia has to offer we would be more than happy to organize your activities while you stay in Croatia to make your holidays full of joy, thrill and pleasure with just the right amount of relaxation and adventure. If you’re interested or want to know more information simply contact us via the form on this page, or use any of the other contact options (even skype) provided there. Take a day trip and discover some of Croatia’s historic treasures along the picturesque Dalmatian coast. 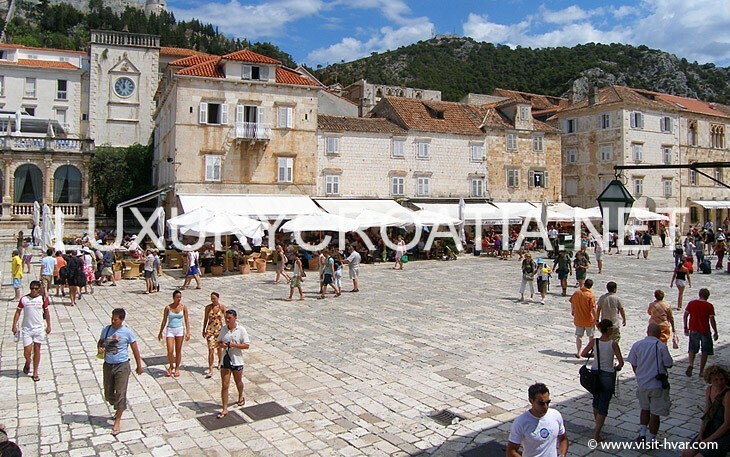 The tour starts with a visit to the antique city of Salona, former capital of Roman province Dalmatia, and continues in medieval city of Trogir, UNESCO – protected city, famous for a unique blend of monuments and art. The whole tour rounds up with Split and its Diocletian’s Palace where you can stroll along many cobbled alleys listening to old Dalmatian songs and savoring the atmosphere of one of the most beautiful Mediterranean cities. 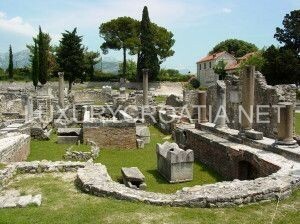 This tour reveals some of the Croatia’s historic treasures, starting with the antique city of Salona, former capital of Roman province Dalmatia. About size, and richness of that antique city testify magnificent walls with towers and gates, forum with temples, theater, palace, amphitheater and unique monuments of Bishop’s palace and early Christian church with graves. After Salona, this guided tour will lead you to the city of Trogir, a UNESCO World Heritage Site since 1997. Trogir is the best-preserved Romanesque- Gothic complex not only in the Adriatic, but in all of Central Europe. Trogir’s medieval core, surrounded by walls, comprises a preserved castle and tower and a series of palaces from the Romanesque, Gothic, Renaissance and Baroque periods. Trogir’s grandest building is the church of St. Lawrence, whose main west portal is a masterpiece by Radovan, and the most significant work of the Romanesque-Gothic style in Croatia. Other important sights are: the city gate (17th century) and city walls (15th century); the Fortress Kamerlengo (15th century); the Duke’s Palace (13th century); the big and small palaces Cipiko from the 15th century; the city loggia from 15th century. Return to Split, and visit to Diocletian’s palace, a UNESCO World Heritage Site since 1979 for being the best preserved Roman palace in the world. 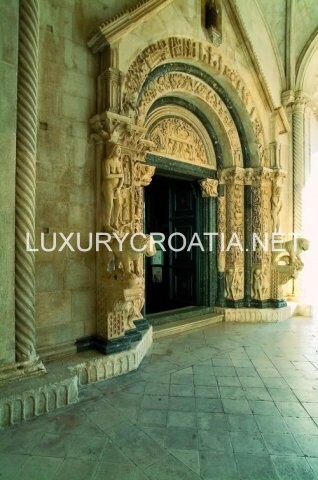 The palace is one of the most famous and integral architectural and cultural buildings on the Croatian Adriatic coast. The ruins of Diocletian Palace, built between the late 3rd and the early 4th centuries AD, can be found throughout the city. The Roman Emperor Diocletian spent his declining years in an enormous palace that he had built near his birthplace, Aspalthos, in Dalmatia. The palace represents the most valuable example of Roman architecture on the eastern coast of the Adriatic. Its form and the arrangement of the buildings within the palace represent a transitional style of imperial villa, Hellenistic town and Roman camp. The sightseeing will include the four ports of the palace, its substructures, the cathedral of St Domnius, Jupiter’s temple, Peristil. This extraordinarily beautiful pocket of wooded hills where each season tells its own story of colors, sounds and patters of waterfalls, is mother Nature in her loveliest, most scenic guise. There are 16 turquoise lakes, connected by series of waterfalls and cascades, all embraced by magical greenery of the beech and fir forests and meadows. Wooden foot bridges follow the rumbling water and lead you through the forests and over the lakes and rivers to a magical place where water symphony connects to your very essence. Each corner of the park celebrates life and abundance and is a testament to a unique harmony of all living. Plitvice lakes National Park is the oldest national park in Southeast Europe and the largest national park in Croatia. Situated in one hundred years old thick forest, the Plitvice lakes are considered to be one of the most beautiful national phenomena in the world. There are sixteen lakes connected by 92 waterfalls, whose cascades make the unique surrounding. Due to its many characteristics and scientific values, they are one of the most notable reserves in all of Europe and were added to the UNESCO World Heritage register among the first natural sites worldwide In 1979. The Plitvice Lakes consist of a system of lakes comprising 16 large and many small lakes in a series of stages. The water flows from the Prošćansko lake through the series of lakes to the Korana river, cascading over numerous varied sedimentary limestone barriers in the form of a multitude of waterfalls and streams of enchanting beauty and unique hues, ranging from emerald green to turquoise blue depending on the quantity of minerals or organisms in the water and the angle of sunlight. The exceptional natural beauty of the lakes, waterfalls, the rich flora and fauna, forests and mountain air, strolls on forest paths, rowing, comfortable hotels and restaurants with a domestic atmosphere, as well as numerous other contents provide a pleasant stay and attract almost a million visitors each year. The trip to the park takes 3 hours, and the drive through the park 2 and half hours – boat trip along the lake is included. Dream with your eyes wide open. Make a step into the world of Dalmatia as it once was and discover a world full of myths of the past times, quietness and long forgotten traditions which are stopped in space and time. The eternal play of stone and greenery makes it a world of peace, primordial clearness and unspoilt nature. Here eyes and soul find rest, man becomes a noble, but wiser listening to the sounds of the mountains while enjoying local gastronomy. This extremely attractive destination for both local and foreign tourists is surrounded by mountains and untouched nature in the close vicinity of Split. The very complex celebrates the tradition of the architecture and the way of life in Dalmatian Zagora in past centuries making it an excellent combination of bygone days and present time. It is visited by lovers of fine gastronomy, people seeking rest and escape from everyday life. Visit to the village and its facilities. Experience the traditional Dalmatia in a way their ancestors lived, amused themselves, ate and drank. Visit to the village and its facilities. Learn how to make home-made bread prepared under a traditional iron bell. Half day culinary workshop with 6 courses and your own personal chef who will teach you how to prepare some of the most famous traditional Dalmatian dishes using homemade ingredients. Nothing says “Dalmatia” like blue skies, gorgeous coastline, and olive trees ready for picking. In just a few minutes you will become a part of a tradition which has been cherished for generations along the beautiful Croatian coast. These trees, flawless miracles of nature, offer you not only a possibility to experience the legacy of different cultures and people that have inhabited this region for centuries, but also a possibility to go home with a personal memory, a bottle of freshly-filled ‘’liquid gold’’. Olive tree is the “sacred tree” of the human kind and they have been grown with special care and attention. The olive branch was often a symbol of abundance, glory and peace. The leafy branches of the olive tree were ritually offered to deities and powerful figures as emblems of benediction and purification, and they were used to crown the victors of friendly games and bloody wars. Today, olive oil is still used in many religious ceremonies. Over the years, the olive has been the symbol of peace, wisdom, glory, fertility, power and purity. The very origins of the olive trees date way before Jesus Christ. Opinions on where it came from are divided. Some say it came from Africa, others say it evolved in Greece. As far as Croatia is concerned, it is a proud owner of a 1600-year-old olive tree, located on the Island of Brijuni, which was planted by the Romans. 95% of all olive oil production in the world comes from the Mediterranean and Croatia is one of those producers. There are some 5 million trees in Croatia now, a small number comparing to other Mediterranean countries, but its oil is regarded as one of the highest quality “in the World”. Olives are usually harvested in the autumn and winter. There are several ways to harvest the olives from the trees. One method is by using machines that shake the entire tree so the olives can drop down. The second one is by taking the rakes and then calming the branches until the fruit falls of into oil net that you previously spread around the tree. Another method is wearing a sack around your neck while you stand on a ladder, hand pick the olives and place them in the basket. It is best if the fruit is not bruised because that also affects the quality of oil significantly. The latter method also includes sawing off branches that increases the yield for future harvests. After harvesting which can last somewhere between one and two weeks, it’s time for production. However, you don’t wait two weeks and then go into production but as soon as your daily harvest is over you transport the olives to a nearby oil mil. Price is based on option and group size! If olives are not in season (late September through December) we organize olive tasting and tour to oil mill. Wine tasting accompanied with finger food. 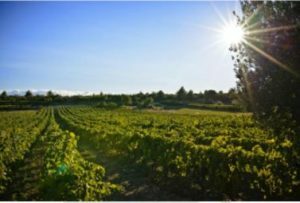 Visit several vineries located in Kastela near Split and throughout your day learn how American Zinfandel originates from Croatia, how this was discovered and learn about different wine varieties of Dalmatia. Tour includes expert winemakers with centuries old family tradition of wine producing. 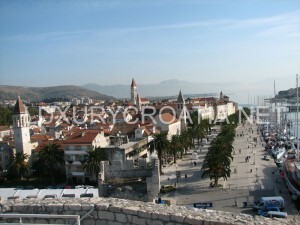 With this we can combine private guided tour of Split or Trogir. Depending on your wishes for guided tour exact timetable can be determined later. Price includes: Transfers with English speaking driver, wine tastings. 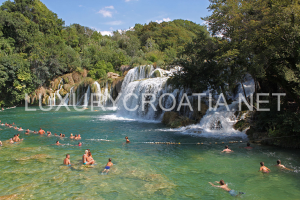 Pick up in the morning and transfer to nearby National Park Krka. You will travel with your luxury Mercedes vehicle to Skradin where you will relax at your own pace exploring the stunning Krka National Park and strolling among amazing waterfalls. After National Park you will visit a local vinery and have your own private wine tasting and stroll through the vineyard. With expert guidance of the winemaker learn about local wine varieties, some of the best in Croatia, and how Skradin area doe to its climate and terroir is ideal for wine production. Next stop is Drniš with its ancient city center where you will visit St. Anthony of Padua and St. Roko churches, as well as the localities where there was the mosque with a dome on top of the pillars. 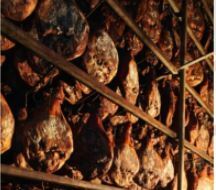 By then, you will surely get a bit hungry, so we will visit the local smoked ham-prosciutto producer for a degustation. You will discover the secrets of making this delicious treasure-recently protected by EU. Return to Split in the early evening. guide, tickets, wine and prosciutto tasting. for lunch and bystanders observing this Mediterranean heart of the city. Same can be said of the fish market. Local fisherman brings catch of the day and early in the morning this vibrant and colorful exchange of words – banter starts and ends when you pick your fish. Your walk with Chef will include him teaching you his “insider” secrets on how to pick fresh seasonal ingredients and best fish of the day. Depending on market and offer of the day you will continue to prepare 3 course meals. Along with food selection of Croatian wine will be served. After the early breakfast, you will be picked up by your driver and will take a short 50min ferry ride to the island. Throughout the day, you will discover the astonishing nature of Brač Island where you will get to know its gastronomic beauty, culture and traditional way of living. 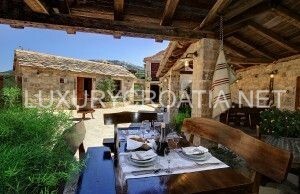 Your first stop will be a unique location among the olive trees where you will learn about olive oil production, taste different varieties of olive oil and have a private cooking class in a traditional stone house built right there in the olive grove. 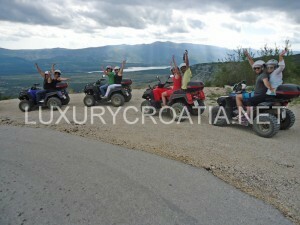 Second stop will be Vidova Gora, highest peak of Brac island and highest peak of any Croatian islands in general. 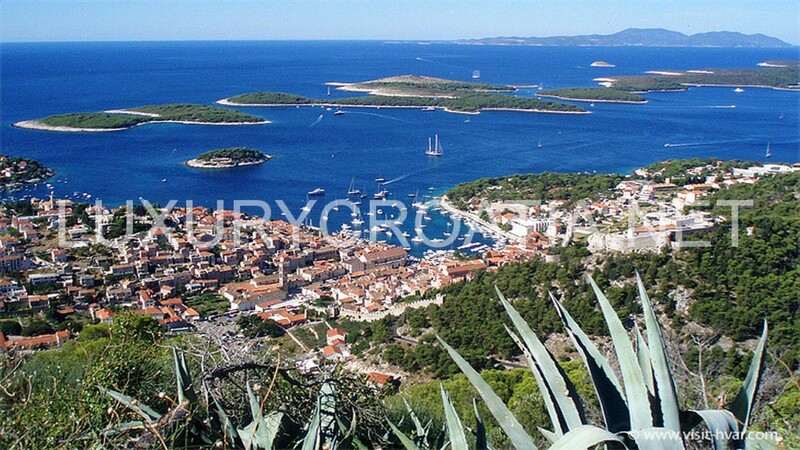 From there you can enjoy stunning view of the islands such as Hvar, Vis, Solta and others, Dalmatian coast continuing down south to Dubrovnik and world famous Golden Horn beach in small village of Bol. Bol will be your last stop where you will have your private wine tasting and tour of the wine cellar at one of the best wineries in Croatia. Wine sorts you will be tasting are “Posip” and “Plavac Mali” or Little Blue, two of the best wine varieties in Dalmatia. Decanter award winning wines will be perfect end of your exploration of the island after which you will head back for your ferry ride back to Split. In the morning you will be picked up by your driver and go to Imotski where you will visit Red and Blue Lake, named for their unique color and both natural phenomenon’s few hundred meters deep. After tour of the lakes and the city fortress above you will go to nearby 200-year-old vinery founded in Napoleon period. 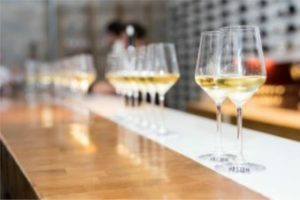 There you will sample local authentic wines as well as one of the best Croatian sparkling wine with some prosciutto, local cheese and olive oil. After wine tasting transfer back to Split. In the canyon of river Cetina, just 2 miles from the sea you can experience different influences and culinary heritages. Start your day by going above the canyon and experiencing one of the most amazing vistas in Croatia! Next to an old medieval church is a hidden lookout form which almost entire canyon can be seen. Then continue to Slanica, right in the canyon, where you will have a cooking class of making traditional dishes using organic local area produces accompanied with great local wine. You will learn how to prepare traditional Soparnik dish. Once considered “peasant” food Soparnik is made of dough stuffed chopped chard, a piece of an onion, salt and a glass of olive oil and then baked. After cooking class traditional “peka” lunch will be served. Your adrenaline journey through the relaxing nature! Escape hot summer city streets for an exciting white-water rafting tour on the river Cetina! 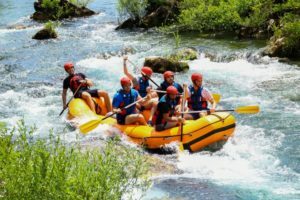 The Cetina river runs through the most beautiful canyon in Croatia and offers you numerous rapids for your rafting enjoyment only a few kilometers away from the sea. The magnificent scenery of impressive cliffs, playful waterfalls and rapids, contrast of the sea, the river and the mountains surrounding it as well as the close vicinity to the medieval pirates’ nest – the city of Omiš, makes it a perfect destination for all adventure lovers. 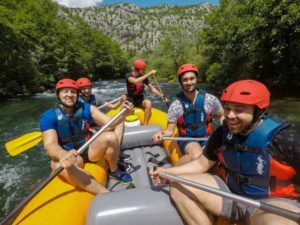 Rafting on the river Cetina, not far from Omiš, has recently become the favorite recreational activity for the tourists and adventurers who spend their holidays on the Adriatic coast. The rafting itself, which starts at Slime, a village 20 km away from Omiš consists of three stages combining still water and rapids, perfect for those who seek for the mix of relaxation and adrenaline rush. The first stage is medium in water speed. The second is longest and the most exciting part where you finally get to experience why people keep coming back to the river., and finally the third part gives you some time to relax, chill and enjoy all the beauties that nature of Cetina canyon can offer you. Also, there are two places where we usually stop to have a rest for a while, where you can take marvelous photos or, if all this wasn’t enough, go for a cliff jumping and swim in a crystal clear river. Your 3 hour and 10 km long ride downstream ends near the resturant ”Radmanove mlinice” where the van will pick you up and take you back to your accomondation. All equipment required for a safe and comfortable rafting will be ensured ( a helmet, lifejacket and peddle). It is recommended to bring swimming suit, beach towels, shoes (it’s not recommended to go barefoot). For your maximal safety our skippers are well trained and their skills are certified by IRF rafting federation. Visit this beautiful national park with more than 140 islands and islets. On this tour you will enjoy cruising through the archipelago of the National Park Kornati, taste exquisite Dalmatian food, enjoy the live music and swim in the salty waters of lake Mir famous for its healing mud. 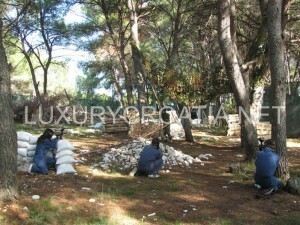 Enjoy a beautiful day exploring a very unique site close to Split. Depending on the number of the people on the tour we will take you to Trogir, the ancient pearl of central Dalmatia, by minibus or bus. The old city of Trogir is actually older than the Diocletian’s Palace in Split and the whole historic core was enlisted in the UNESCO World Heritage list (in 1997). After a walking tour with a guide around the city, you will have lunch and taste some of the finest traditional specialties. After lunch and some free time for shopping we will take you back to Split. Explore the natural beauties of Hvar island and Pakleni islands. 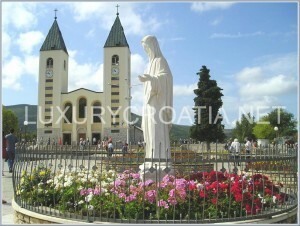 This amaizing tour starts in Port Križna in town Hvar, just one hour away from Split. You will kayak towards group of island called Paklenjaci and there you will have a meal. This tour is designed for those who seek to find an adventure on the crystal clear sea. 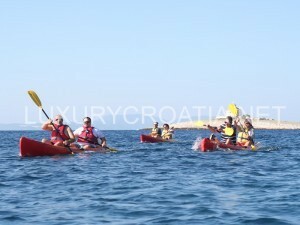 Sea kayaking tour is perfect for everyone who desires to have an active kind of holiday. Let us take you on the memorable journey which will leave you breathless. On this trip, you will enjoy in the beautiful nature and experience an off-road driving. While passing through canyons, rivers, mountain ranges and roads, you will discover your wild side and at the end of the trip, go home richer for a new wonderful adrenaline adventure. For those who like depths of a blue sea we offer a real adventure, whether you are a beginner or experienced diver. Leave all your problems on the surface, dive into deep blue sea and you will feel the atmosphere that you will always remember. Regardless of your age, this is a sport for you if you are in good health condition. Our experienced instructors will show you the basics of diving that are needed to explore the coral underwater world with submerged boats in the area around Trogir. Getaway from the city gaggle. Our tour starts on the Riva promenade at 09:30 am. You will drive the bike along the coast and have a wonderful view of the sea. You will also enjoy in the beauty of the nature in park forest Marjan. Explore natural beauties of Croatian islands, coves and caves! 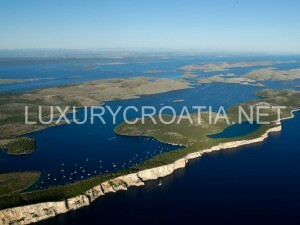 Relax on crystal clear waters of the Adriatic Sea while enjoying the unforgettable nature of Vis, Hvar and Blue Cave. This tour will show you all the highlights of the Adriatic Sea in only one day! Allow the wind tangle your hair and the sea leave some salt on your face while enjoying this adrenaline speed boat ride that you will never forget. If you want to visit one of the most beautiful beaches in the world, this is the tour for you! Beach Zlatni rat, located in Bol, on the island of Brač, is a natural phenomenon. Ride is on request, no steady schedule (min 4 persons). 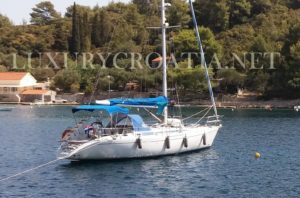 For those who wish to experience fascinating Dalmatian islands without regular crowds, we offer one day sailing tour on our private boat, with the professional skipper. 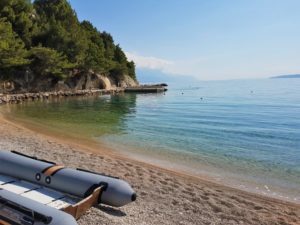 During this trip we will visit magnificent cove (Nečujam, the island of Šolta) where you will discover places for swimming, snorkeling or just take pleasure in the attractions of the Adriatic Sea. With the wind in your hair, let us take you on the cruise that will supplement your vacation. Split – Split’s canal – Maslinica – Hvar – Komiza – Korcula – Lastovo (Dubrovnik and Kornati is also possible to visit on your request). Excursions can be very personalized and we will plan it on your request. It is up to you how much days you want to spend on your cruise, as well as the places you want to visit on this offered area. For the price, contact us – it depends of how much do you want spend time on boat and where you want to go. Skipper is included in price, he will give you a warm welcome and comfortable ride along the Mediteranean. First day begins with departure from Split to Brac Island where you have time to try snorkeling in the clean sea near the Brac island. After Brac you get the time to enjoy the beautiful Panoramic view of the islands from the boat. Solta Island – Livka Bay – Hvar Pakleni Islands (swimming and Panoramic Tour) – Hvar Port mooring for NIGHT. You’ll get chance to experience Nightlife of island Hvar. On the second day boat takes you from Hvar to Island of Brac where you get the chance to swim. 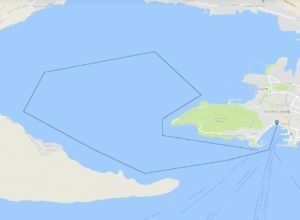 Last stop is Split Port or Split Airport (depends on your wish). 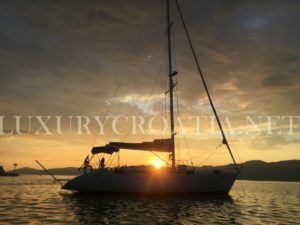 On this one week sailing journey you’ll visit the best places on the middle and south Mediterranean and experience Dalmatia (places you’ll see BlueCave, GreenCave, fantastic Stiniva beach, protected Marin Area of Island Vis, National Parks of Island Lastovo and Island Mljet, unforgetable Korcula’s Archipelago and Dubrovnik’s Archipelago). You’ll also be able to snorkel and swim with fish in one of protected areas, visit fishermans port of Komiza, port of Vis, world JetSet pointed Hvar, birth place of Marco Polo and lots of hiden coves on the way from Split to Dalmatian diamond, Town of Dubrovnik. 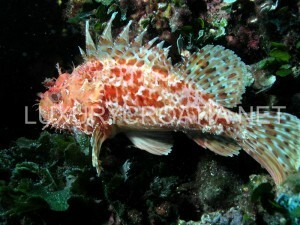 As our bonus – you can taste to ScubaDive with our Skipper and PADI Dive Instructor – for free. Departure from Hvar to the first stop on Pakleni Islands for the swimming break. After the break the trip continues to Vis Island where you go to visit Green cave and after there is another break. Second stop is Laguna Budikovac where is lunch organized as well as swimming. 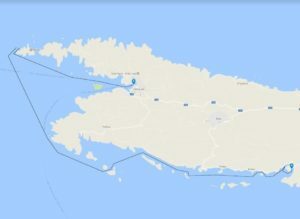 Last route is Hvar Pakleni Islands and returning to Hvar. 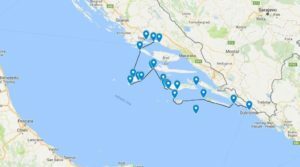 Start point is at port of Vela Luka from where we take you to Islet Proizd and around Cape Cancir down to Islet Prznjak. There will be two snorkeling stops, at Proizd and Prznjak islets. Sailing takes you through Karbuni and Prizba’s Islets where you can enjoy the ride back to Brna port(destination point). Departure from Split in the late afternoon. This is evening romantic sailing out from port of Split to Ciovo and around the bay. You can enjoy stunning views of sun imerge into the sunset. 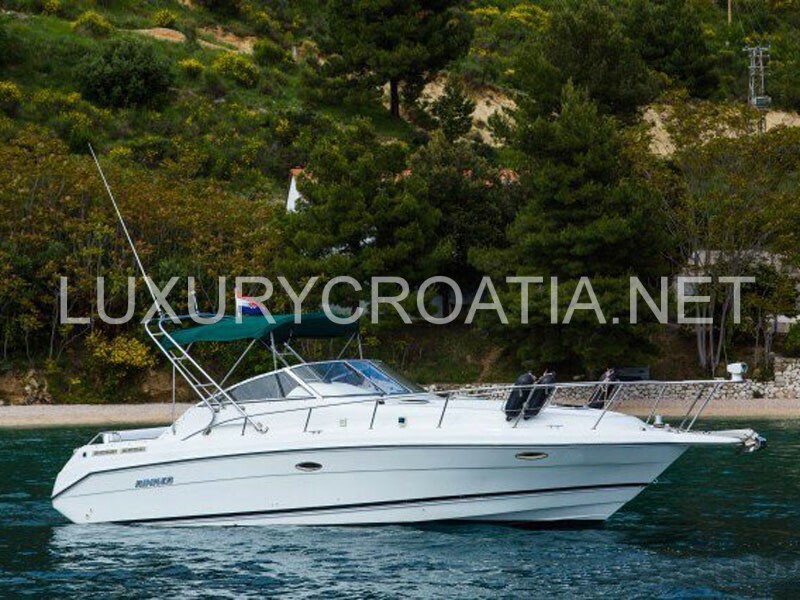 OFFER INCLUDES: Private Skipper, petrol, snorkeling equipment and shower on boat. 9:25h – Arrival to small village of Maslenica on island of Šolta, coffee break, sightseeing. On return, stop off in Trogir , a historical town and harbor on the Adriatic coast. Explore the UNESCO-listed Old Town and sightseeing like the Cathedral of St Lovro. 10.30h – arrival on one of most popular beach on Pakleni islands and free time for swimming, exploring of the island, relaxation and enjoying with cocktails, beach bars.. Etc. If you have not found your excursion, please contact us to organize it according to your idea. The most famous horse riding centers in Croatia are found in Slavonia, Istria and Dalmatia. Did you know that canoeing is a tradition that has been going on for centuries here? Traditional Croatian canoes, which are called “trupice” are used for fishing and transportation on the river Neretva delta even today. Meeting in clubs and private flying schools, Croatian flyers and paragliders offer organised tours and international competitions. 1246 islands, 652 islets, 389 rocks and 78 reefs are more than a thousand reasons to fulfil anyone’s nautical dreams. Do you know that the first harpoon for underwater fishing came to Croatia at the beginning of the 20th century, and that the first world championship in underwater fishing was held long ago in Mali Lošinj in 1957? As a true Karst region, Croatia is full of caves. The most famous and most magical are the Modra Špilja [Blue cave] on Biševo and the Zmajeva Špilja [Dragons cave] on the island of Brac. Croatia is a land with many hiking tracks. Beginners can already start near Zagreb, Ogulin, Rovinj, Pazin, Split and Omiš, and then there are the heights on the islands of Mljet, Brac and Vis. Unbelievable but true – it really is possible to ski in Croatia! Immediately in the heart of the Istria, behind the city of Rijeka there is the snowy destination of Platak, and just a bit further away there is the Croatian Olympic centre of Bjelolasica at a height of 620 m.